Plain fiberglass fabrics do not handle weld splatter well. For enhanced weld splatter resistance, there are several coatings which can be applied to allow the fabric to withstand the splatter. One of the better protections is a coating of silicone rubber on the fiberglass base fabric. The heavier the fabric and coating, the better the splatter resistance. 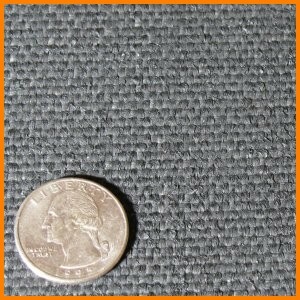 A lower cost weld splatter resistant fabric is one coated with vermiculite and then a coating of neoprene or latex. These coatings stiffen the fabric, provide fray protection and also fill the weave gaps so that the weld splatter cannot get trapped in the weave. The best weld splatter protection is provided by InSilMax and InSilMax XT fabric as it has a higher temperature performance and better burn through protection, but at a higher cost. Weld-Shieldä fabrics can be used to fabricate welding blankets and curtains, or sleeve and jacket products to protect against weld splatter, high temperature pyro applications. This fabric tends to be more flexible and conformable than heavy silicone rubber coated fabrics.